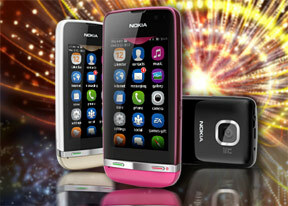 Nokia is back with a bang Asha 311.
can tell me, how to set up opera in asha 311? i have try many time ut can not downlaod Opera for this mobile..?? pls also adv how to downlaod pdf file for asha 311?? can we download hq video from youtube. can it play youtube hq video with out lag . Yeewei, 31 Oct 2012Can anyone tell how to restore factory setting?? Normally, Nokia restore code#12345 but my on... moreVisit Nokia website. U can find a solution. Otherwise you have to take it to nearest Nokia Service center. :), 31 Oct 2012I have a Xperia S, which runs Android 2.3 and has a dual core 1.5GHZ procesor. That does not m... morewhat do mean .. i didnt got what u said ? Nokia.Please include at least Symbian S60 . 3rd edition on this phone. then this will be a awesome phone.Then you can consider this a flag ship Nokia phone. Addy Noe, 31 Oct 2012Asha 311 good for phone for Nokia pro.. if compare to the old model but if compare to android ... moreComparing with this Sam. galaxy y( main competitor) what's the poor with it? It's the best one best specs. than y. Android is just a OS.